Jambudvipa is the ancient name of India which literally means “the land of Jambu trees” and can be found in numerous religious texts of various Sanathan Dharma’s offshoots viz. Hinduism, Buddhism, and Jainism. The Jambu or Jambul means Indian blackberry and dvipa means the continent. In Jain texts, India was known as Nabhivarsha, the country of Nabhi. Nabhi was a Chakravarti King and father of first Jain thirthankara Rishabhanatha. On another hand, South India was known by the name of Dravida. The Dravida region encompasses the modern Indian states of Andhra Pradesh, Karnataka, Kerala, Tamil Nadu, Telangana and a minor part of Chhattisgarh. The region also includes union territories of Andaman and Nicobar Islands, Lakshadweep and Puducherry. The term “Bharatvarsha” is first cited in Vishnu Purana as the country(varṣam) that lies north of the ocean and south of the snowy mountains is called Bhāratam; there dwell the descendants of Bharata. Here, Bharata is referred to the mythical Vedic age King of Bharata and varsha means the country. Bharata, the official name of India in Hindi, is the abbreviated form of Bharatvarsha, where Bharata is referred to the Vedic age King Bharata. The name Hind is the Persian language equivalent of Sindh. According to many historians and linguists, Persians were not able to pronounce Sindh properly. They made “H” sound instead of “S” sound. Thus, the word Sindh became Hind. In the 11th century, the Muslim conquerors called their Indian dominion, Hindustan. The Hindustan means the land of Hind. 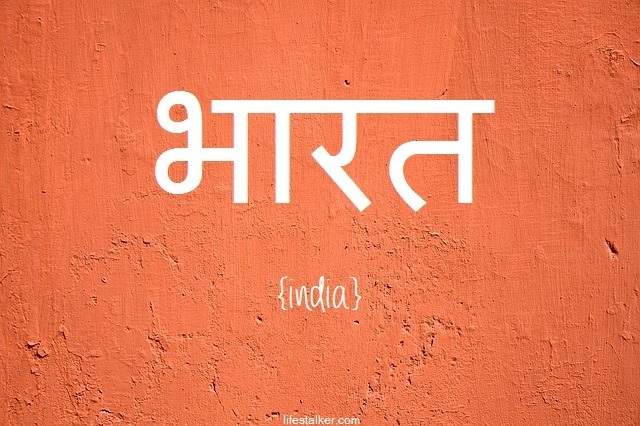 In some Arabic text, India is denoted by the name of Al-Hind, which literally means “the Hind”. Tianzhu is the Chinese historical name for India. Originally pronounced xien-t’juk, it derived from the word “Hindu”. Tenjiku is the Japanese version of the Chinese name for India, Tianzhu. Cheonchuk is the historical Korean name of India. It is pronounced like Chinese name for India, Tianzhu (xien-t’juk). In Sima Qian’s Shiji, The Scribe’s Records, India is mentioned as Shendu. Most probably the distortion of the word “Sindhu”. In Hou Hanshu or Book of the Later Han, the Chinese court document covering the history of Han dynasty from 6 to 189 CE, India is known as Tiandu. The name Yintejia is another historical name of India found in the records of Chinese dynasty of Kucha. In China, India is also referred as Wutianzhu, which literally means “Five Indias”. As India can divided into five major regions, Central, Eastern, Western, Northern, and Southern India. Wu Yin is the name given by famous Chinese Buddhist scholar Xuanzang to India. He became famous for his seventeen-year journey in India, (629 — 645 CE). The term Wu Yin means Five Indias. Yindu is the current Chinese term for India and it is derived from either Hindu or Sindhu. Hidush is another Persian name of India, which is found in the accounts of Darius the Great. Darius controlled the Indus Valley from Gandhara to modern Karachi around 515 BC. Hodu is the Biblical Hebrew name for India. It is mentioned in the book of Esther. In Esther 1:1, Ahasuerus(Xerxes) had been described as King ruling 127 provinces from Hodu(India) to Ethiopia. Indo is the current Japanese name for the Republic of India. The ancient Greek historian, diplomat, and explorer, Megasthenes called India by the name of Indika. His popular work Indika is an account of the Mauryan Empire. The original book is now lost, but its fragment survived in later Greek and Latin texts. The current name India is derived from the name of Sindhu river. It has been in use in Greek since Herodus (400 BC) and in English since the 9th century. Sone Ki Chidiya, literally the Golden Sparrow, is a popular sobriquet given by Indian freedom fighters to India for its riches and high culture. The sobriquet was used by freedom fighters to boost the morale of crushed Indian souls and fight against austerities of British Raj. Hahahhahahahaha I know what you mean, but you cannnot change people without education. If you want to change, start with educating people. FEEL PROUD TO BE A MEMBER OF BIHAR.